Colors in French is the third volume in a booklet series to help chidren learn French. 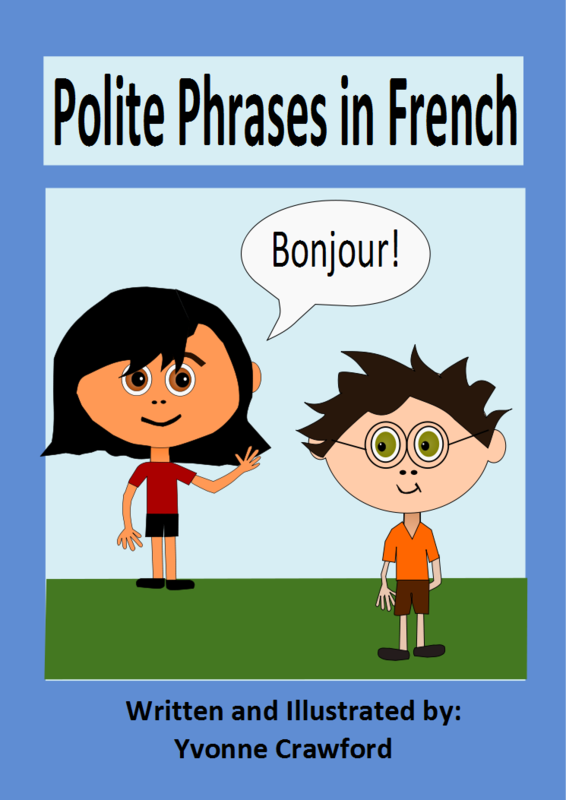 This volume will focus on polite phrases in French – like please and thank you. There are separate pages for 12 different phrases. Each page has colorful graphics to help your children remember these phrases in French. Also included are: a summary page, 5 worksheets, 2 copywork pages, and a completion certificate. There is also a pronuciation guide for the French text to help your children. If you’d like to buy this, click add to cart below and I will email the PDF to you.